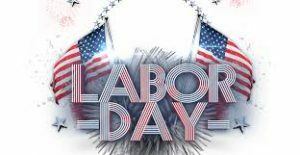 On Monday September 3 , the offices of City Manager, Mayor, City Clerk, Human Resources, Public Works, Engineering and Finance will be closed in observance of Labor Day. Emergency situations normally handled by these departments should be directed to the Sycamore Police at 815-895-3435. Regular hours of operation for these departments resume on Tuesday, September 4. The City of Sycamore thanks everyone for their contribution to the strength, prosperity and well-being of our country and wishes everyone a Happy and Safe Holiday!